Sidney Rigdon was a major impact on William Bickerton. Dr. Daniel Stone talks about how Bickerton lost faith in Rigdon. Daniel: William Bickerton really had progressed, had become a major member of the Rigdonite movement, but didn’t know Joseph Smith. So, he ends up leaving Sidney Rigdon’s church pretty quickly. So, in June of 1845, William Bickerton joins. But then in August of 1845, Sidney Rigdon is kind of wanting to create another communal society because he wants to reenact the United Order. He was always into communal living. He was even into that when he was a Campbellite minister in Ohio when he met Joseph Smith. So, he wanted to kind of reenact that and he believes he’s having revelations that they should build the new Jerusalem in the Cumberland Valley of Pennsylvania. So eventually they are having these revelations. He’s presenting them to the church. And Sidney Rigdon had organized another School of the Prophets just like Joseph Smith had and William Bickerton as a member of that school, they are praying, and they read liberal arts, things like history, English, and this would have been really interesting to Bickerton because he was not well educated. He was a coal miner. So being able to be schooled and be able to talk with men that were learning as well, it would’ve probably been very interesting to him. And they’re also learning the gifts of the spirit, how to be good ministers for the Gospel. So, William Bickerton says that as a member of the school, they’re having revelations as members of the school of the prophets, that Sidney Rigdon is going astray. We also discuss Bickerton joining the LDS Church under Brigham Young for a short time! Daniel: William Bickerton is a devout LDS Mormon. And when you read the minutes, it’s quite interesting. I mean at one of the meetings that they have, he actually leads the vote to sustain Brigham Young and the Twelve in their offices. It’s kind of a ceremonial thing because obviously they don’t have power, but he’s showing their support for them and he’s a member of the LDS Church for 10 months. And so, when they start the West Elizabeth congregation, they appoint William Bickerton as the presiding elder and they go from nine members, by the end of 10 months they have 27 members. So, William Bickerton helps triple his congregation within less than a year. So, you know, he was busy preaching. And what ends up happening is why he ends up leaving Brigham Young is because in March of 1852, there is a meeting that is held for all the Mormons in the area in Allegheny City, Pennsylvania, which is now the north side of Pittsburgh. And in that meeting they’re basically preparing the elders for the announcement that’s going to come later in the year in August for plural marriage. And this is what makes William Bickerton’s story so interesting. Don’t forget to check out the Great Conflagration of Pittsburgh! 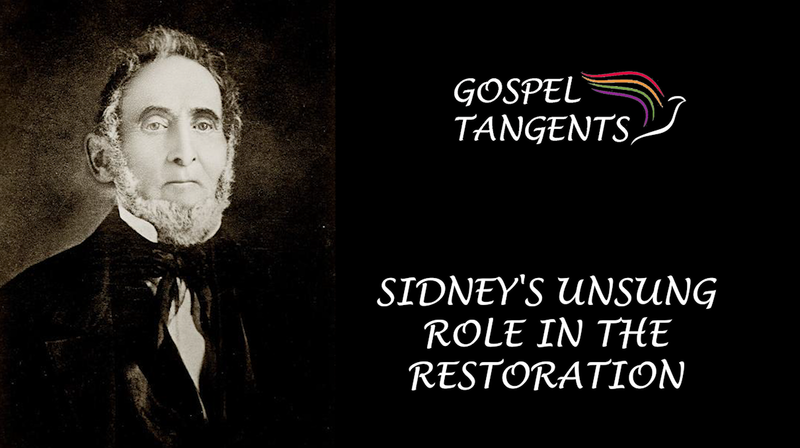 How did Sidney Rigdon react when the town was on fire? Check out our conversation, as well as our previous conversation with Daniel! William Bickerton was baptized by Sidney Rigdon, but soon became disillusioned with Rigdon’s leadership. I’m excited to introduce Dr. Daniel Stone. He has written the first biography of William Bickerton, Forgotten Latter Day Prophet. William Bickerton was the prophet of the third largest Latter-Day Saint Church. We’ll get to know more about Daniel in just a moment. 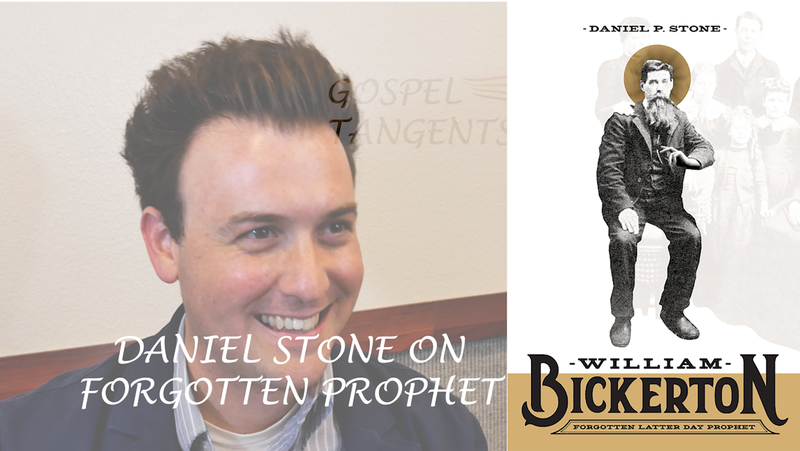 Daniel: I’m Daniel Stone and I’m the author of William Bickerton – Forgotten Latter-day Prophet. I’m a Ph.D. candidate studying American religious history at Manchester Metropolitan University in England and yes, I am a Bickertonite. ….after I graduated with my masters, I started writing the book and I ended up finishing the book and I wanted to go on for my Ph.D. and I kind of had this dilemma personally because I thought, should I write the book first and then go for my doctorate or should I get my doctorate and then write the book? Because usually the traditional path is to get the doctorate and write the book. But no one had ever written about William Bickerton. He is literally, it’s so rare to find an American religion, a rock that has never been unturned. And that’s William Bickerton. It’s unbelievable because now he started the third largest Latter-day Saint Church in the world. It’s called the Church of Jesus Christ. It’s in 23 countries. There are about 23,000 members and very few people have ever written about him and there’s never been one biography on him. So, I thought to myself, you know what? Let me try to write the book. I felt like I had a good enough grounding to do that. And then with the hopes of putting it out there and then maybe going for my doctorate because my fear was to get on a doctoral committee and I’ve heard horror stories sometimes we don’t like certain people on your doctoral committee and they make you put things in your dissertation that you don’t really want to do. So I didn’t want to have to backtrack. So I thought, let me try to write a scholarly book. Thankfully Signature Books picked it up. They found it. I was only halfway through and they heard about it and they basically said, “Well, let’s see the book when it’s done.” Thankfully there were no major corrections. They just passed it open hand and it was peer reviewed so it was great. So then what ended up happening is I applied to grad school and I wanted to find a good advisor and I like to focus on Mormonism but I like to focus on Millennialism too within the American context and there’s a guy at Manchester Metropolitan named Andrew Crome who specifically focuses on Millennialism and he also does mostly English Millennialism, but he focuses with a little bit within America too. I’ll told him about what I was interested in and told them about Bickerton. We will also talk about the Spalding Manuscript Theory. Well, we find out later that that’s not really the case. Solomon Spalding wrote this book. I believe it’s about Romans that get knocked off course and eventually land in the New World. So it’s kind of similar but not really. 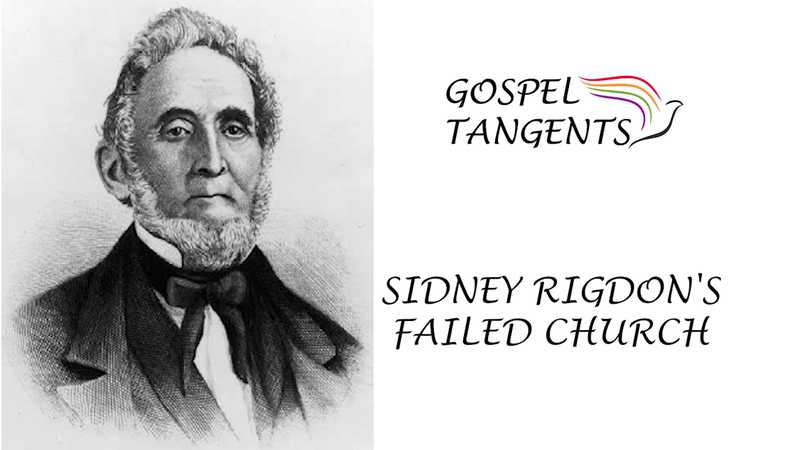 And Sidney Rigdon had nothing to do with the Spalding manuscript. But back then people really thought that was the case.